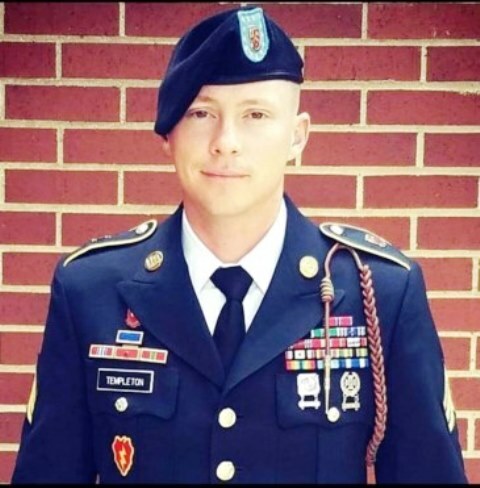 The Patriot Guard Riders have been invited to stand in silent Honor and Respect for SSG Justin Wayne Templeton, U.S. Army Sapper/Combat Engineer for his final services and interment on Tuesday, 09 Apr 19. Justin went to be with the Lord unexpectedly on 27 March 19 in Colorado Springs, CO. While serving his country, he was stationed at Schofield Barracks, HI, Fort Stewart GA and Fort Carson, CO on four separate enlistments. Over his 13 year military career, SSG Templeton served his country proudly while being deployed three times to foreign lands, to Iraq in 2007, Afghanistan in 2011 and Afghanistan 2013 where he received a Bronze Star along with other numerous awards and decorations. Justin loved serving his country and providing freedom for those back home. Ride Captain:RCIC: Dave Shaffer (pdshaffer327@yahoo.com). .Briefing at 11:45 AM with flag line in place NLT 12:00 PM. Flag line will be maintained until the start of services. Flag line will be reset at the conclusion of the Funeral Services and maintained during the graveside services.